When shopping for cabbage. Heads should be firm with shiny, crisp leaves. Avoid cabbage with wilted or bruised leaves. More than 400 varieties of cabbage, their are 3 common cabbages. Green cabbage, savory or purple and red cabbage. Green cabbage is the most common cabbage, great for cooking or in salads. 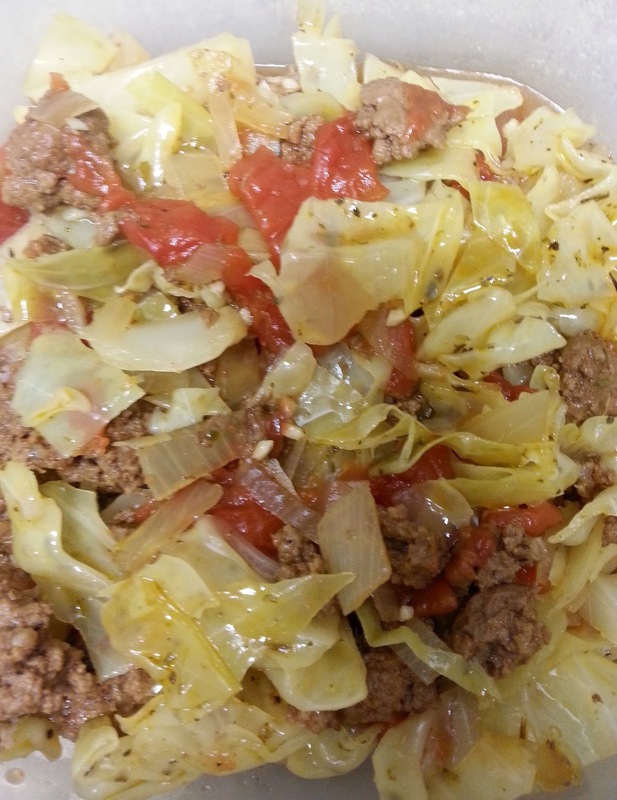 If you only use part of the cabbage, tightly wrap the cabbage in plastic and place in the refrigerator. Once cut cabbage will need to be use with in a few days. In a dutch oven, over medium high heat, add ground beef, onion,salt, pepper, worcestershire sauce and garlic. Stir and cook,until meat is brown. Add diced tomatoes, tomato sauce, chicken broth, cabbage and italian seasoning. Simmer, 40 minutes, until cabbage is tender.